Pinmarx Connect streamlines fleet operations and coordinates services under a comprehensive program to guarantee your assets are connected to a network of expert providers. Pinmarx offers free access to our application and doesn’t require a contract. 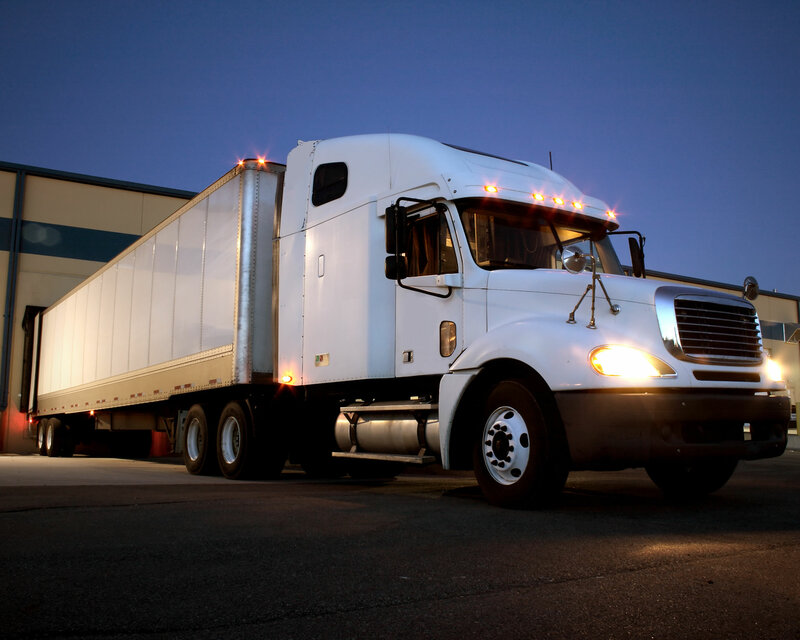 Our system allows fleet owners and operators to customize and follow maintenance schedules, track costs, archive repair histories, integrate GPS data and stay compliant with state and federal regulations. Pinmarx Connect is the bridge from our fleet customers to our premiere dealer network. Call our 24/7 hotline or order services online and we’ll support any asset type and connect you to the providers best suited to your needs. From lightweight vehicles to heavy forklifts, Pinmarx will coordinate all your services and eliminate the hassle of managing vendors. Pinmarx Connect gives our customers the tools to create custom guidelines for every service. The ability to create a customized set of rules puts you in the driver seat. Set dollar limits for repairs, provide purchase order requirements and minimize risk. 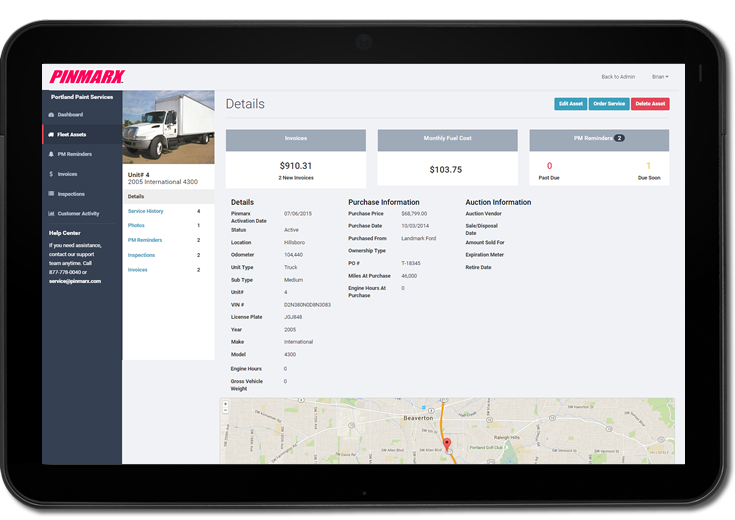 Using our system and Pinmarx’s dealer network gives you a comprehensive and innovative approach to fleet management. We’ll keep you updated with our latest technology, news and information. Providing tire services to the Pinmarx network has been an excellent decision for our tire company. The management at Pinmarx understands the fleet customer business and drives the details when it comes to costs, service and scheduling. We value quality customers and the future direction with Pinmarx as our local partner. The team at Pinmarx provides us excellent mobile services for our vehicles in the field and on-demand. Their dealer J&D Fleet Services is a top notch California & Nevada provider working hard for us in the entertainment industry. Using the Pinmarx network for towing, vehicle repair, DOT inspections and fleet services is very easy. Pinmarx is a smart, new & effective gateway for retail, commercial and industrial clients to save time and money. Our affiliation with Pinmarx proves that they acquire qualified dealers that are leaders in their respective industries. Our company has nearly four decades of experience in multiple states and has a proven professional track record that our mutual customers trust and respect. We believe in the direction of Pinmarx and feel fortunate to provide services for so many wonderful leading edge customers. The dealers and Pinmarx have been wonderful to work for and expect high quality paint & body services for all of their customers. Collectively, Pinmarx, the dealers and our company negotiate all of the pricing, terms and conditions before any of the work starts. It’s nice to concentrate on the paint & body work and let Pinmarx take care of most of the customer details before the work begins. The service provided by Pinmarx allows us to stay focused on lowering costs and increase our number of projects. Hands down, the best software in the industry. I can monitor repairs, mileage, fuel use, engine diagnostic codes, schedule repairs, view invoices and other vehicle data. It's amazing that I can do all this from my office. 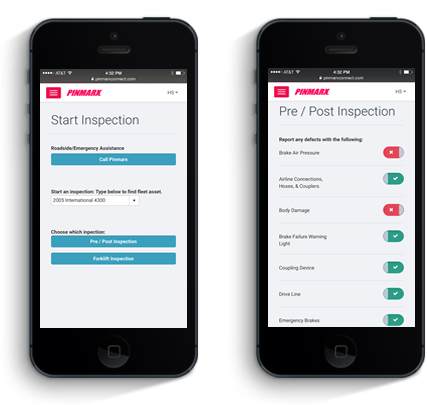 It even has a pre-trip inspection via phone or tablet. Pinmarx software saves Thermal Supply, Inc. money and increasing the safety of your entire fleet. Patrick Jutte - Logistic Manager Thermal Supply, Inc.
Pinmarx and their dealer S&T schedule, pick-up and return our units as soon as they are serviced with just one phone call. Their professional staff understands our time frames and the importance of thorough servicing. They look for any DOT safety violations and make sure our units are functioning properly before they are returned to our facility. We couldn’t be more happy with the attention to detail they provide. Working with Pinmarx in both Oregon and Washington has opened up many opportunities for our growing lift truck organization. Our mutual customers receive pre-determined pricing, scheduled maintenance and after hour emergency services whenever a unit is in need of repairs or maintenance. Pinmarx professionally supports our organization and finds many different ways to help our customer’s save time and money. They think outside the box in this demanding economy. Brook Douglas Vice President, Independent Forklift Services, Inc.
Pinmarx organizes a complete end to end solution regarding our welding and fabrication for totes and containers with their local dealer. The quality repairs help us concentrate on our recycling operations and assist our own internal shop during peak season & heavy workloads. Our relationship with Pinmarx has been excellent over the last few years. Authorized Pinmarx dealer, Pacific Truck Repair (PTR) & their manager Mr. Bill Krell have managed the service and maintenance for each of the Northwest Infrastructure trucks for quite some time. They have arranged everything from quick preventative maintenance services to complete engine rebuilds. Bill schedules most of the repairs and generally completes each job on time or ahead of schedule. Our company provides hazardous waste transportation in several countries but needs a service provider that can respond to our service and repairs both in the field and at the shop. The dealers at Pinmarx support our fleet needs and assists us with all of our maintenance, service and repairs. They are reliable, consistent and always available. Working with Pinmarx on various types of fleet vehicle and trailer equipment repairs has helped us reduce our company breakdowns, eliminate overcharges and keep our diesel trucks on the road year round. Their dealer support at Mark’s Quality Repair Service is excellent and very responsive to our growing needs. They stand behind each coordinated repair.